Secured claims - whether residential or commercial mortgages, auto loans, or any other debt secured by collateral - are generally not dischargeable in bankruptcy, except when defects in the mortgage or security agreement are identified during the bankruptcy case. That doesn't happen too often. Although the secured creditor or mortgage holder is barred by the automatic stay in a bankruptcy case from taking immediate action on its claim, the creditor can apply for bankruptcy court permission to repossess or foreclose on the collateral. More often, however, especially in a Fort Lauderdale Chapter 13 bankruptcy case, we can negotiate with your mortgage company to keep you in your house, and pay off the arrearages over three to five years through the Chapter 13 plan. This solution requires the full payment of whatever you are behind in your mortgage payments but it allows you to keep your home. 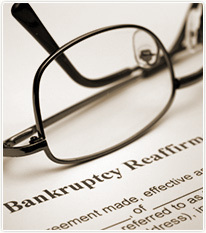 A Fort Lauderdale bankruptcy attorney can provide you with more details on how this works. Secured creditors are only secured to the extent of the value of the collateral. If the debt is $15,000, and the fair market value of the collateral -an automobile, for example - is only $10,000, then the creditor has a secured claim for most of the debt, and an unsecured claim subject to discharge for the remaining $5,000. In cases like this, Chapter 13 gives you the chance to resume your normal car payments, spread defaulted payments out over your Chapter 13 plan, and, in some situations, discharge that part of the claim that exceeds the value of the car. Bankruptcy issues concerning secured claims, collateral values, and even disputes between secured creditors competing over the same collateral can get very complicated. For reliable advice about your particular circumstances, contact the Bankruptcy Law Firm of Clare Casas.